All the right tools for removing steering wheels for most domestic and imported vehicles with or without telescoping tilt steering columns. 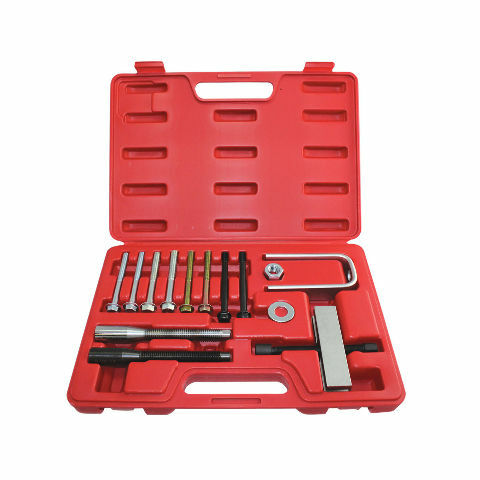 Included in the set are a steering wheel puller, including five sets for cap screws needed for various thread requirements, and a steering wheel lock plate compressor. 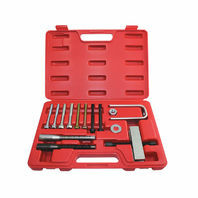 The set also works on older GM, AMC, and Chrysler vehicles with tilt or conventional steering conventional steering columns.